It's official! Sprouts in Fayetteville is open starting today from 7:00am - 10:00pm! Last night I was able to walk the shiny floors with some of my fellow Fayetteville bloggers! 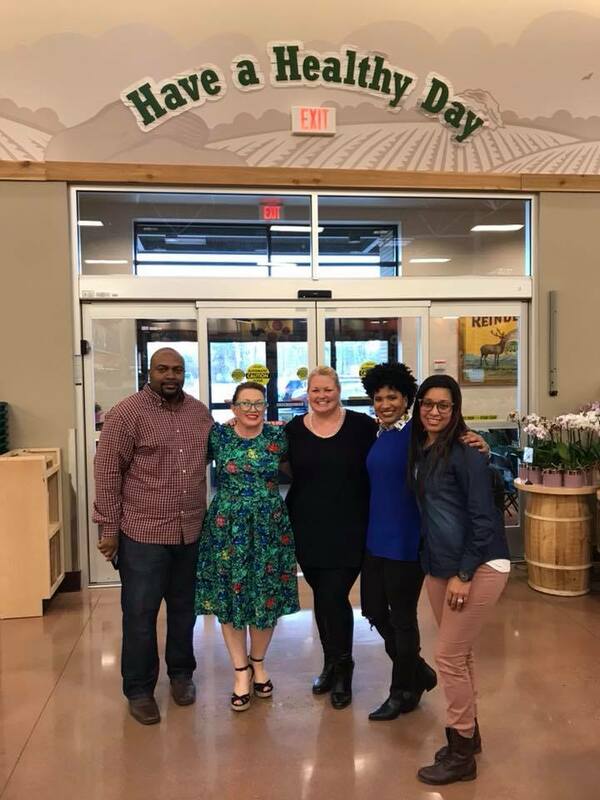 We toured all the departments and learned all the amazing ways to shop and save at Sprouts. When I walked into Sprouts I could immediately feel the energy and excitement in the store. Fayetteville is continuously growing but Sprouts was something that this city truly needed. Many people each year are choosing to live more healthy lives. This starts with what you're putting in your body. So thank you Sprouts for gracing us with your presence. This may be really cheesy but one of my favorite sections in the store was the fresh produce section. Why? Well, this is the cheesy part, because of the clean and sleek displays. Everything is stacked so evenly and looks so fresh and yummy! We have all been there, you want to try something new but hate to buy something you may not like. At Sprouts you can try it before you buy it! I've never heard of this before! Just ask a team member if you can try whatever snack, fruit, or other packed item and they will open it for you! Some of my other favorite sections of the store were the beer section (duh), food to go, bulk foods, and the sushi bar! First, let me let you in on a little secret, every Wednesday sushi is only $5!! We have already planned a tentative blogger meet-up. They have a wide selection of local beers and some of my favorite from New Belgium. This beer snob was one happy camper. The food to go section has so many options and the sandwiches are made with bread from their bakery! 90% of their bakery is made in-house, it doesn't get any fresher than that! During our tour we able to try the fresh juice that is made daily! My favorite was the Energize Me. It tastes just like a popsicle! Some other cool features of the store are the Butcher Shop, the spice section and the body care and vitamin section! In the Butcher Shop you can call ahead and have your meats cut in the exact weights and quantities you like them. One thing I struggle with is when you need a teaspoon of a spice for one recipe (you'll probably never make again) but you have to buy an entire container of it. Well at Sprouts you can measure out how much you want of each spice in the spice section! 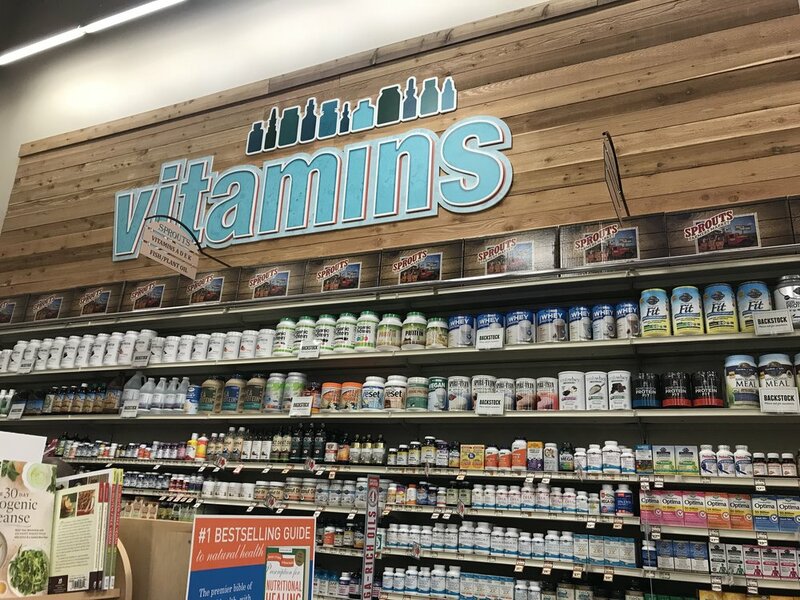 In the vitamin and body care section Sprouts has over 7,500 products! I'm in love with their Rosemary Mint Lotion! I could go on and on about Sprouts but it's time to you get to the store! Before you go be sure to download the app so that you can clip your coupons! Click HERE to download. I think I'll be a regular in the store so I hope to see you there soon. Want to win a $25 gift card to Sprouts? Comment on this post to enter! Winner will be selected January 15th. Learn more about Sprouts, HERE.